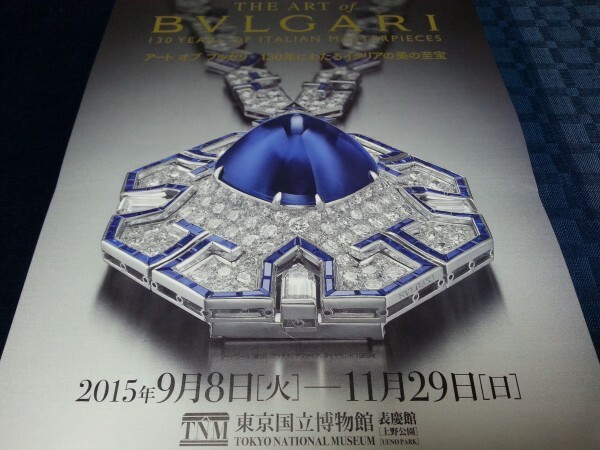 I went to “THE ART of BVLGARI 130 YEARS OF ITALIAN MASTERPIECES” at Tokyo National Museum inside Ueno Park. 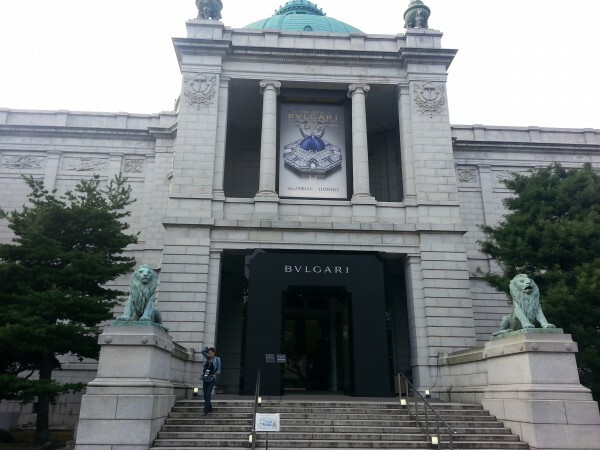 BVLGARI is an Italian world class high jeweler brand with over 130 years of history. All the jewelries at the exhibition breathtakingly fabulous. The jewelries were so glittering, that I couldn’t keep my eyes open. Many movie stars wore BVLGARI’s jewelries in movies, parties, shows and in private. Especially, the world-renowned actress, Elizabeth Taylor. She had a deep relation ship with BVLGARI. Richard Burton, an actor and Taylor’s husband gave her an engagement ring with emerald and diamonds. Nevertheless she parted with the ring afterwords. I was wondering why she sold the engagement ring. 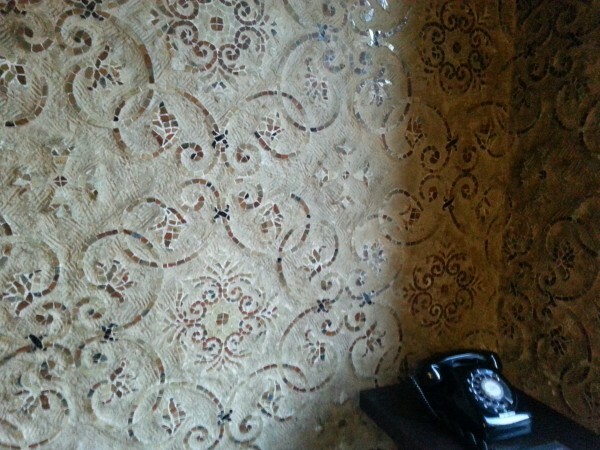 She wrote a postscript to the new owner “Wear it with love!” on its certificate. 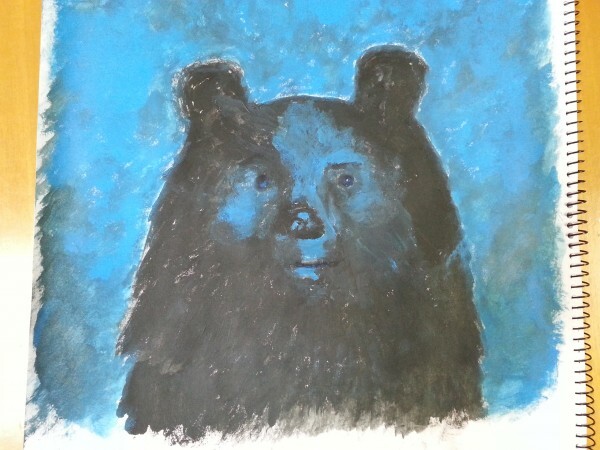 I examined the certificate in details at the exhibition. I found that she sold the engagement ring to raise funds for AIDS foundation. If you were Elizabeth Taylor, can you give away your engagement ring? It’s a timeless tradition for beautiful women to receive luxurious jewelries from men. Simply stated, gorgeous jewel suits divine beauty. Elizabeth Taylor’s 40 years old birthday present from Richard Burton. A long necklace, with 65-carat sapphires and diamonds. 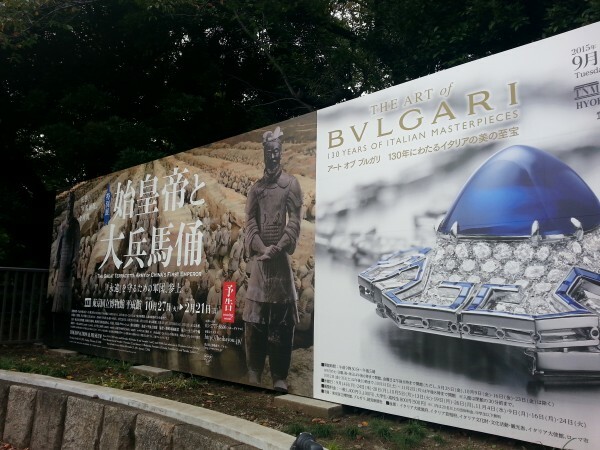 The Great Terracotta Army of China’s First Emperor is coming on October 27, at Tokyo National Museum.